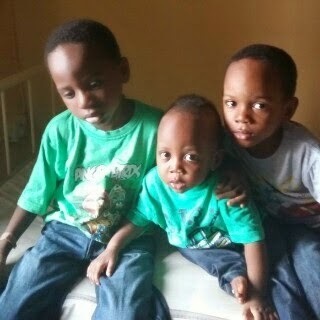 Three brothers, aged between 11 months and 6 years, were kidnapped by a new nanny, Mary Akinloye, just over a week ago. The children have now been found and the nanny arrested by the police. The woman has been speaking out and making confessions to the police, and so far, these are the facts that have emerged on the case. *She hails from Osun State and not Oyo State as earlier claimed Oyo State. 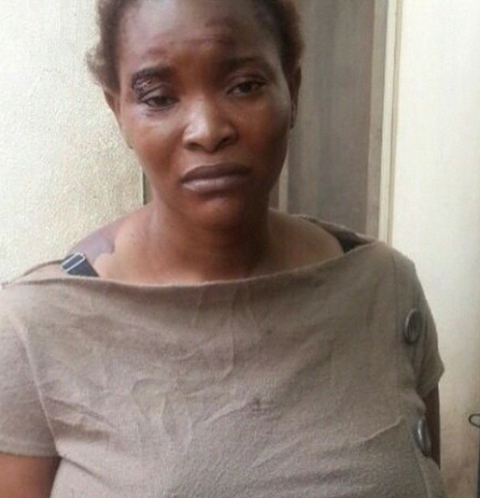 *She was arrested at Coker Estate, Shasha , Akowonjo, Lagos after she fled her home in fear of police operatives. *Police sources say that Adebiyi is not new in the kidnapping business; she runs the kidnap syndicate with others, who are still at large. *She was allegedly the mastermind of the December, 2014 kidnap of two boys, Raphael and Michael Esharegaran from their parents home in Magodo, Lagos. The boys were reunited with their parents after N2.5million ransom was paid. *Police team (SARS) asked the Orekoyas to pay a fraction of the ransom into the account of an unnamed bank domiciled in Oyo State. Further investigation revealed a link between the contact number on the account and that of the Funmilayo Adeyemi. *Funmilayo Adeyemi and her gang withdrew N400,000 from the account using the ATM as the Police set up surveillance on the account and calls on the mobile phones of members of the syndicate. *In panick, she abandoned the children whom were found on Tuesday night in Shasha area of Egbeda. *She was about leaving town when the law enforcement agents finally caught her with a maid, Wednesday night.